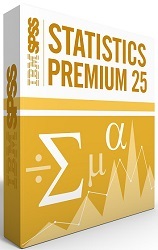 IBM SPSS Custom Tables - note: this add-on requires that you order the DVD. Your GradPack purchase enables you to access the Academic Resource Center, your one-stop shop for all of your statistics and data mining needs. This site includes tutorials, reading lists, training courses and many external resources to help you become proficient in the latest analytical techniques.